You’ve probably seen all kinds of Battlestar merchandise over the years. But did you know there’s a also a board game based on the show? 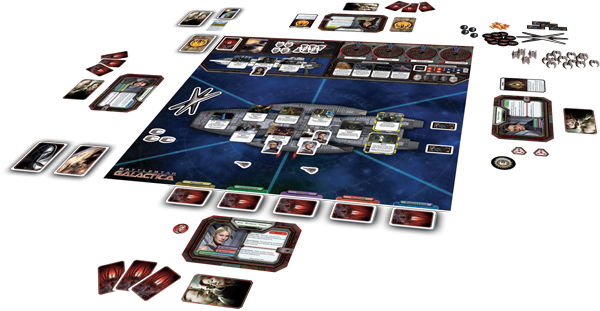 Published by Fantasy Flight Games a year ago, Battlestar Galactica is a complex, collaborative game that’s been widely praised for its wonderful design, its attention to detail, and its gripping game mechanics. I once had the pleasure of playing this game with a bunch of buddies from Caprica City – and let me tell you, it was the most exciting board game experience I ever had! It’s amazing how all the various parts of the game capture the paranoid and hectic atmosphere of the first season so incredibly well. Accusing other players of being Cylon saboteurs, fearing the next raider attack or seeing our resources dwindle, some of us were literally sweating. There’s one downside, however: Kat is not among the characters that people can choose to play. I have yet to play the expansion, but this sheet looks pretty good. The skills seem spot on, as goes for the special abilities. If you ever get around to purchasing both the basic game and the expansion, we’d love to hear what playing Kat feels like! 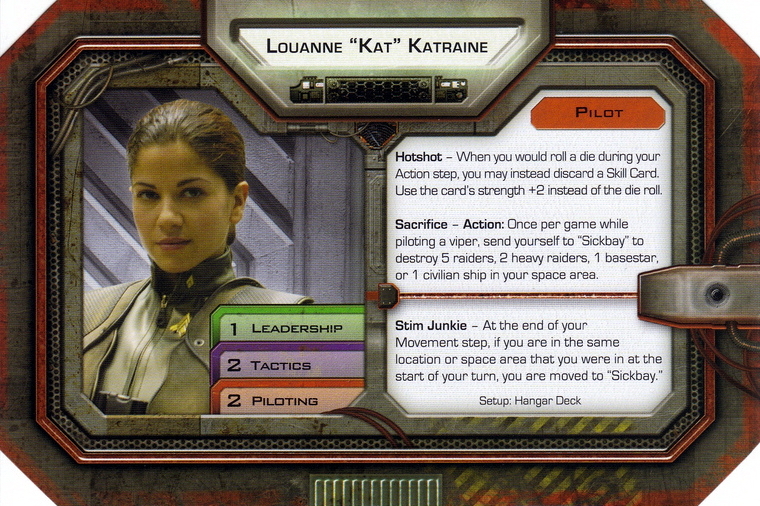 This entry was posted in Other and tagged Battlestar Galactica, Board game, Kat, Louanne Katraine, Merchandise. Bookmark the permalink.